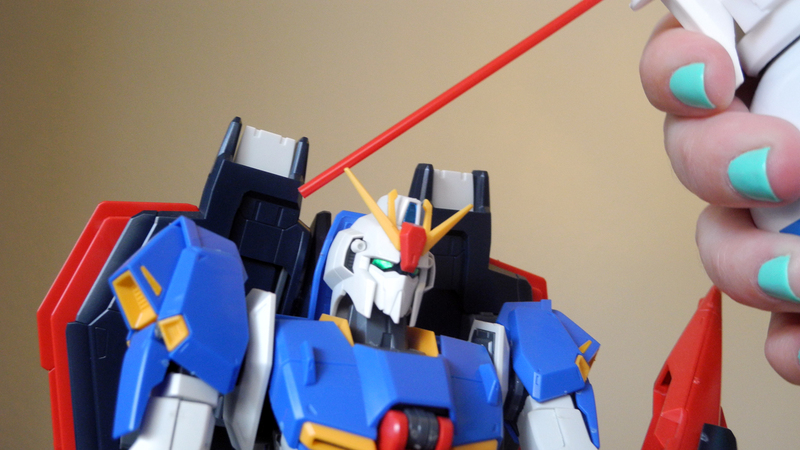 Hmm, didn’t these gunpla used to have brighter colors? Oh wait, they still do… just under this heavy layer of dust! 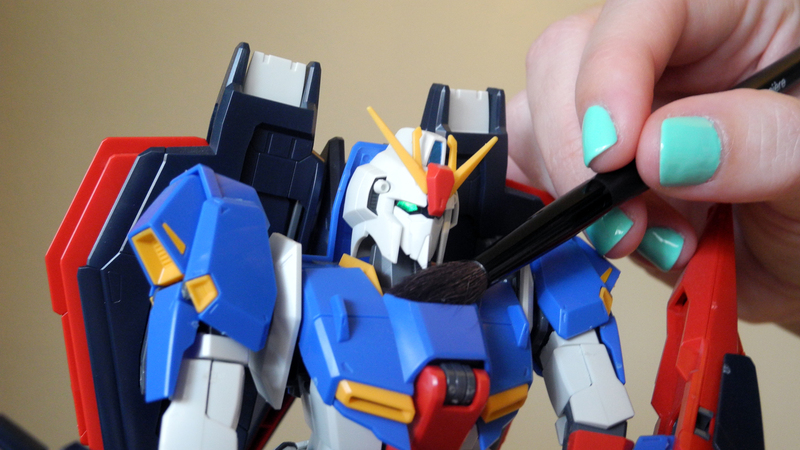 Like anything else in your house, gunpla models collect dust and benefit from regular cleaning. The problem is, they’re a lot more fragile than most of your stuff. You can’t just wash them in water with your other hobby figures. So how do you clean something covered with stickers, panel linings, sometimes even paint or glue? The answer is verrryyy carefully. 1) Use a soft, dry brush to loosen dust from the nooks and crannies. In the photo above, I’m using a makeup brush since I think they’re even softer than paint brushes. 2) Next, carefully spray the model with compressed air. This is the same kind of compressed air we use to clean our computers and keyboards. 3) Repeat every two weeks. I’d like to say that’s what we do, but it just goes to show that everyone can use a little improvement! 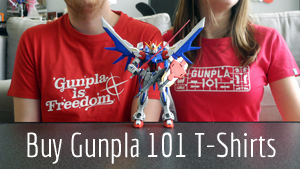 How do you take care of your gunpla?